I’m not going to lie, it has been a rough couple of weeks. We had such an unexpectedly good week after dropping N off at college, deep down I knew the other shoe would have to drop. It was a big shoe and it dropped Monday, on what would’ve been Aiden’s first day of 7th grade. I knew it was coming and I was a little anxious about it, but had no idea it would be as difficult as it was. I think I was still celebrating how well our first week of empty nest went that I didn’t see this coming like I could have. It was that “ambush” that people talk about. I had a preview in Walmart 2 weeks ago when I went in for my weekly grocery run. Seemed innocent enough, until I was face to face with the giant yellow mountain of Back-To-School displays. Row after row after row. It stopped me in my tracks followed by an adrenaline rush and then the familiar sick feeling. Immediately the “should’ve been’s” and the “how can this be?’s” started talking in the back of my mind at great volume. I did hold it off and went about my shopping, albeit a little thrown off kilter. The emotional reality of Monday, however, could not be held off anymore than I could hold off a tidal wave with my bare hands. I wore earplugs Sunday night as I frequently do, hoping not to be awakened by the bus. The bus stop is our corner, of course. I got up and had coffee with D, made a very long to-do list and went to the gym like any “normal” Monday. My thoughts however, were consumed with what “should’ve” happened that week and that morning. I was consumed with the loneliness of the what wasn’t. There should’ve been a couple weeks of anticipation and the news of who was on what team and who had who in their class. Then that morning I should’ve woken him up with the silly annoying song I sing to wake them on mornings of special days. (N actually texted me on his first day of college classes and said he sang it in his head that morning! Made me so happy.) I should’ve packed his lunch, maybe with a note like I did sometimes. I should’ve made him a nice first-day-of-school breakfast while he rested his head on his arms trying to wake up. I should’ve given him a hug and kissed him on the head and told him I loved him like every other morning. Just like we should’ve been rifling through that mountain of back-to-school supplies the week before. I would’ve been complaining about all the supplies we had to buy and how we never had to do this when I was his age and how many boxes of kleenex does one classroom need anyway?? It was a yearly ritual. A 16-year ritual that was supposed to continue for many more years with him, but won’t. There was never a lot of talk about what to wear with Aiden. He had his “uniform” like a lot of middle school jocks. Nike sneakers, nike or under armor t-shirt and nike or under armor shorts. Done. Boys. He did have a signature color he loved to wear and incorporated into almost everything he wore. Limey neon green. But there was no matching neon green clothes on Monday, no special breakfast and no bus. No anxiously awaiting to hear the verdict on his new teachers. It was just me and this house and it was all too much to take. It was “outside my window of tolerance”. The breaking point came when I went on Facebook to post for the business pages and the beautiful face that popped up on my newsfeed was one of Aiden’s friends. All smiles, holding his back pack for his first day of 7th grade, looking a little older and just a little bit different. Just like Aiden should’ve looked. I felt “that” feeling wash over me and clicked off as fast as I could, but you can’t un-ring a bell and I couldn’t stop what was inevitably coming. I won’t go into the gory details of the storm that broke that day other than to say I was unable to pull myself out and I knew it. I was sinking deeper and deeper into that watery hole that my bedroom becomes on days like that. I know some of that is expected and is good-it has to happen for the grieving process to move forward. I have learned however, there are episodes where it doesn’t stop and leads to no where good. I was there and I did not want my husband to come home to that. After waiting much too long, I mustered the nerve to ask for help. It is not something I am comfortable with or do lightly. ” I can handle this. It will stop soon. I can’t have anyone see me like this.” Is usually what runs through my head. That day, though, I needed someone physically in front of me. I needed a face to look at and I needed to hear a voice that wasn’t my own cries. I needed a reason to stop and breathe. I finally texted a friend’s Mom who has said over and over to just call her, day or night and she would be here for me, and she was. I needed a Mom. She would if she could, but my own Mom can’t be here for me and that is a post for another time. But this Mom was here in record time, just like she said she would be. I have come to realize that some moments you need someone out there to reach down into the depths and pull you up- sometimes by just answering a text or walking in the front door, hugging you and saying “It was the start of school wasn’t it? Let’s just sit down.” I’m grateful I had her and it worked, I came out of that room, I stopped and I breathed. She was my life line that day. We sat for hours and talked. We talked about Aiden, and yes, what should’ve been. I cried talking about him, but I smiled too. There were no empty platitudes or promises that everything will be OK, because we all know it will never be “OK” for us. She was just here, and present and I am so grateful for that. I hope every person going through this has even one or two people who can do what she did. Show up in person for the rescue. Then we had ice-cream for dinner and didn’t feel guilty at all. The remaining week was a little better, but Monday mornings come and I can feel the fight start all over again. Such heaviness from that cloak that I don’t feel I can take another step. Yesterday I got home from work and fell into bed. I know I worried D, but I hurt all over my body and I literally couldn’t take another step. I wondered if this what the rest of my life is going to look like? I was consumed yesterday with thoughts of Aiden and thoughts of our very uncertain future. Not good thoughts. Consumed with anxiety of what our future holds because nothing good is coming up. No break in our circumstances. Where ARE you God??? How much longer are you going to make us wait and endure this season??? Where is our relief? The thoughts pounding in my head were making it impossible to lie still and rest even though my body craved the rest and peace. That’s the thing about this- you need quiet time, you need peacefulness, but in the space of that quiet, your mind and it’s ugly contents fill in the blanks where the busyness and tasks usually sit, and mostly that is not a good thing. I was fidgety and on the verge of a break again. Thank goodness D was there and knew I wasn’t well. He was massaging my aching legs when a text came from N. Just a random text on how his bench press is coming along. ( I know- not a text about how all his classes were coming along, but his bench press. Funny) It was my sweet boy and he was thinking of me and texted me and it was all I needed to help me sit up and shake off some of the weight. He and C and D are here and though they may not seem it or say it, they need me. They want me to be OK. If for no other reason I have to do this for them. 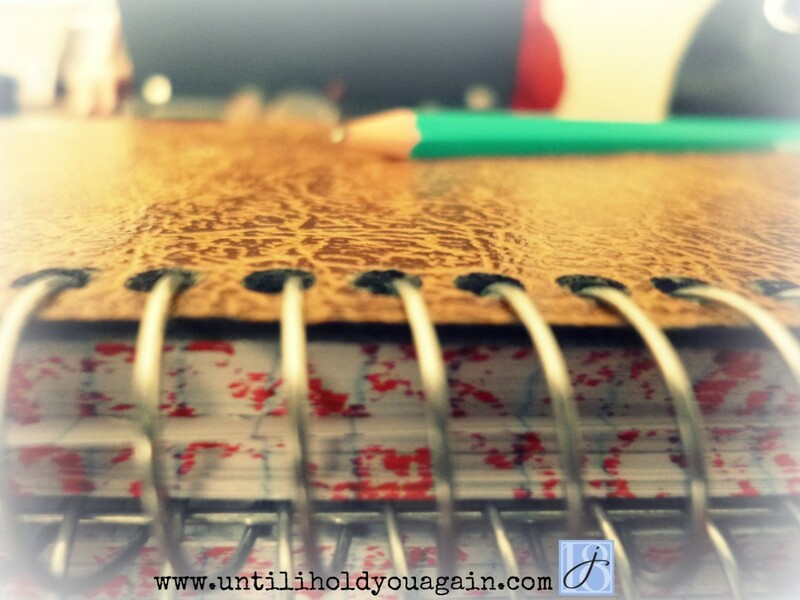 For all these reasons, I really struggled with a post this week. I didn’t really want to talk to people or write. I couldn’t focus or reign in my thoughts. I so want to be hopeful and keep this hopeful and I have felt neither. I’m trying to learn from every thing that happens so some day I can be used to turn something from this into good. ( Read about the Survivors Creed of Believing Against The Grain here ) So this is what I am committed to do to get through this week and the moments that would drag me back under. 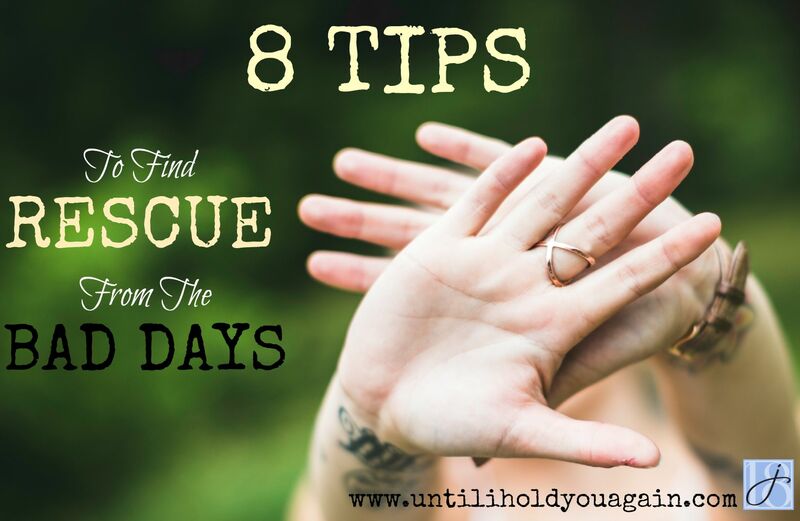 My 8 Tips For Finding Rescue From The Bad Days. Maybe these will help you too. If they do I hope you’ll tell me by leaving a comment. Accept that the bad episodes are going to come and don’t fight them. Remember the advice for what to do if you get swept away in a rip-tide? Don’t fight it. You will fatigue and drown. Ride it out, it will stop. I believe it is best to brace yourself, but let the grief come. Ride it out and let it out. I think of every bad episode as one less I will have to go through. Try to remember that grief does not follow a path. It is tortuous, full of twists and turns, valleys and mountains. It has good weeks as well as set-backs. The setbacks do not define the path of healing, they are just a part of it. If you need someone to help you through a particularly bad time, call them or text them and hit the send button. It is very very hard to reach out to people, even my very best friends. So many times I didn’t dial or hit “send” when I should have. Change your environment. I will go outside, take a walk, leave where I currently am, even for a brief time. Breathing fresh air and looking at something beautiful does wonders. Nature is healing. Walking and getting out is pretty instinctual and has been since this happened. Every day find something to be grateful for. I know this can be difficult, but I can find something everyday to be grateful for- the sun, the blue sky, the friends who still stay in touch to see how I am, the unexpected card in the mail, a text from my son reminding me of who I need to fight for. Look ahead to the future and see yourself doing something wonderful that you love and that has meaning. Mine will be something within my grasp so it is reachable and attainable and I can hope with confidence. Listen to some upbeat positive music. Something to make your toe tap and voice start to sing along. I ADORE this song. Furious. Go to these “rescue” verses daily or multiple times a day if needed, particularly when the dialogue in your head is destructive. I believe that God is with me even when I can’t feel Him here. Thank you for coming along with me on the not-so-good days as well as the ones to be celebrated. I’d love to hear from you and what you do to get through the bad days. 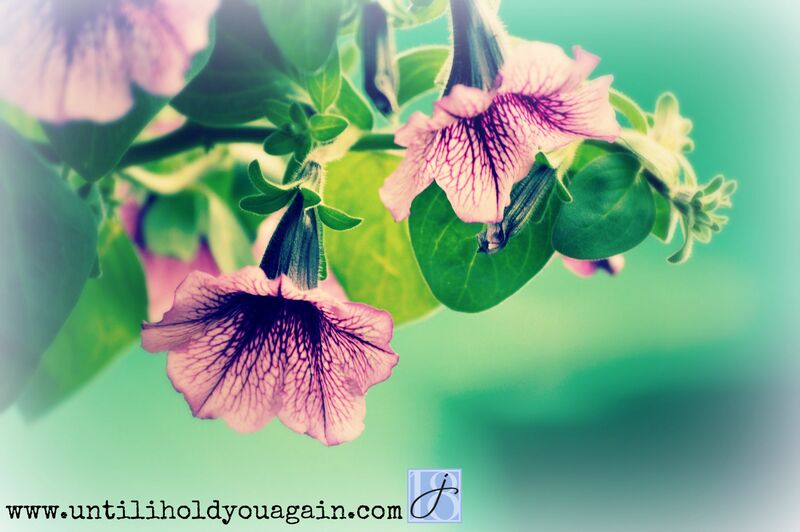 Tagged 8 TIPS TO FIND RESCUE FROM GRIEF, BEREAVED MOTHERS, CHRISTIAN BLOGGERS, GRIEF, HELP FOR BEREAVED PARENTS, SURVIVING THE LOSS OF A CHILD. Bookmark the permalink. Shelly you are so right. N has always been in “tune” to me. He is very intuitive. Love you too girl!